These are the anguish, fears and tribulations of a middle class Jewish family in Venice during Fascism and their flight to the Capital right after the massive Nazi roundup of the Jews of Rome, seen through the eyes of a child. 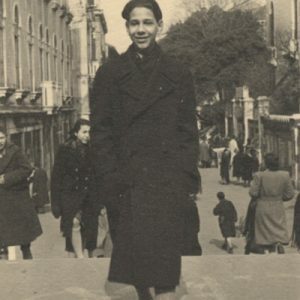 “The ghosts of my uncles and my cousins, my friends and classmates, little Sara G., all killed by the Fascists and the Nazis, have populated my childhood and youth and conditioned my whole life” writes Roberto Bassi, a professor of Dermatology, former president of the Jewish Community in Venice and founder of CDEC (Center for Contemporary Jewish Documentation) in this riveting memoir that covers his early childhood in 1930’s Venice, up to the liberation of Rome in June 1944. 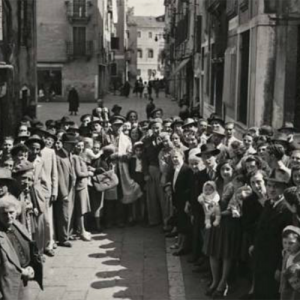 Against the backdrop of war-torn Italy we follow one of the many stories of daily terror, uncertainty and loss of those who survived the systematic attempt to to wipe out European Jewry. At once personal and finely nuanced, Bassi’s story is emblematic of the experience and need to bear witness of those whose life was forever shattered by the Nazi Fascist persecution. 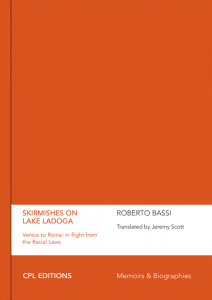 Roberto Bassi (Venice, 1931) is a dermatologist. Having taken his degree in Surgical Medicine in 1956, he was Chief Consultant at the Dermatology Department of Venice City Hospital. The author of numerous scientific works, including Psiche e pelle (Bollati Boringhieri, 2006), a discussion of psycho-somatic dermatological conditions which was intended for a non-specialist public. He is President of the Società Italiana di Dermatologia Psicosomatica (SIDEP), as well as a lecturer on psycho-somatic dermatology at the University of Ferrara. He is also a member of the Bio-Ethics Committee of the Venice City Health Authority. 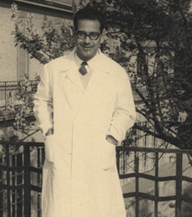 Roberto Bassi founded and was the first director of the Centro Documentazione Ebraica Contemporanea (CDEC). He has also been President of the Jewish Community of Venice and Vice-President of the Union of Italian Jewish Communities. 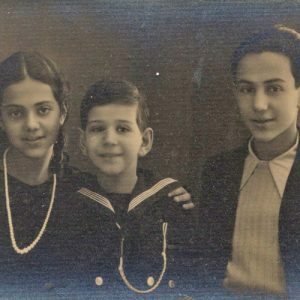 It is for this reason that Roberto Bassi’s memoir of his boyhood during the Italian Holocaust is an important document. To the bones of a too-often neglected story it adds the living flesh of cultural and emotional detail, reminding us that history, which too often we tend to think of abstractly, always happens to someone.